When you talk with most clients, their answer to this question is quite simply, “we can’t be down.”. While this is an optimal desired state for all, the cost for achieving this is not affordable for most companies. Thus, compromises must be made. This truly starts with planning. I am often surprised by the number of organizations who really have little idea of the impact of an outage or data loss. In fact, in a recent survey we did across 117 Logistics and Manufacturing companies, we found that 44% of them stated they did NOT have a Continuous Data Protection Plan. “Plan” is the key word here. This starts with a Business Impact Analysis (BIA) which identifies the impact financially based on each application. This is also based on time of outage. Also called Recovery Time Objective (RTO). For example, you may identify your HR applications and say, we are OK with those being down for 48 hours or more, so they are a tier 2 workload. However, our Order Entry application needs to have a 4 hour RTO or less before we start losing money in an outage. This becomes a Tier 1 application, and will be treated differently in the resilience plan. 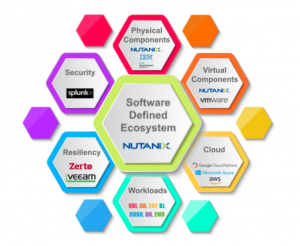 How does a Software Defined Approach Achieve Resiliency? This is fairly straightforward on what it does…creates redundant copies of your data and moves them to safe repositories in the event the original data is corrupted or lost. As you can read in a previous article , it is not that easy. Data often starts getting dumped into various repositories, from multiple sources, with no retention plan, or recovery plan in place. You then end up with a mess and data that you don’t need, or can’t find (ie our Marketing schwag closet). The current leader in this space from a technology perspective is Veeam. Veeam takes a software defined approach to simplifying this process. Combined with the core of our vision Nutanix, and you have a very powerful approach to data protection. For a minute, imagine that the office you work at is suddenly not there. Nor is your datacenter, or for that matter, your IT person or team. What would YOU do? When you say D.R., most people think about replication, and technology in an offsite location. That’s great to start with, but it really is about planning, and automation. I learned about Zerto a few years ago. Somehow it went over my head that this is short for “Zero RTO”. Basically instantaneous fail over automated in event of a disaster. 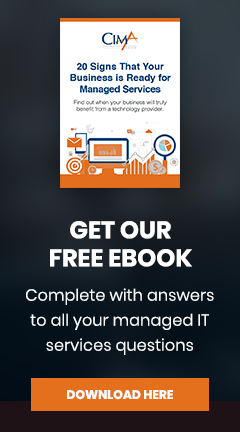 Most companies are familiar with VMWare Site Recovery Manager (SRM). This is a good product, but is very challenging to truly implement it in the way you should. Zerto has emerged as a true software defined simplified platform that provides maximum resiliency in a disaster. Again, this all goes back to planning, managing, and testing. Think again about my question above, “What would you do?”. Step 1 to this question has only one correct answer. That answer needs to be “I would refer to our documented D.R. plan just like I did in our last TEST and execute it.” If this is not your answer, it might be time to consider Backup and Disaster Recovery as a Service. This concept is becoming more and more common with our clients and truly provides all of the elements we have talked about today including BIA, Planning, Tools, Testing, and when needed, execution!